24H High reaching volume and hold. Get volume that reaches the sky! 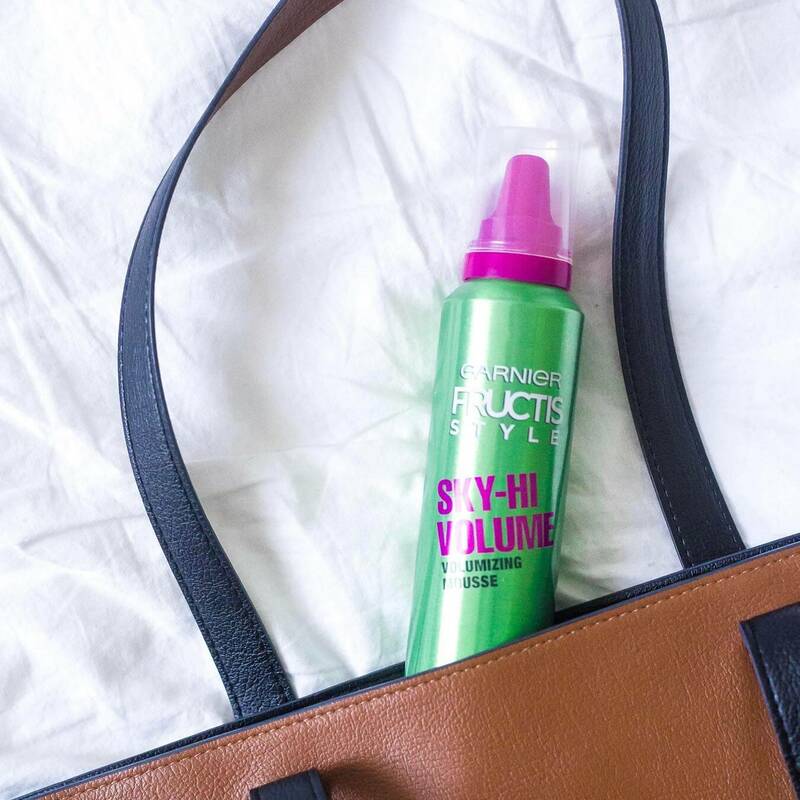 Garnier Fructis Style Sky-Hi Volumizing Mousse gives your hair high reaching volume and 24-hour hold. Now Paraben free. Sky-Hi Volumizing Mousse gives your hair high reaching volume and 24-hour hold with our most extreme holding technology. Shake well. Hold can upside down and dispense into palm. Apply evenly to damp hair and style. Rated 1 out of 5 by RG19 from Does not work I bought this a week ago and have used it everyday. What a disappointment and waste of money. I have fine hair and this did nothing. My hair is still flat. Going back to bumble and bumnle. Rated 5 out of 5 by LSal from Great lift and hold! 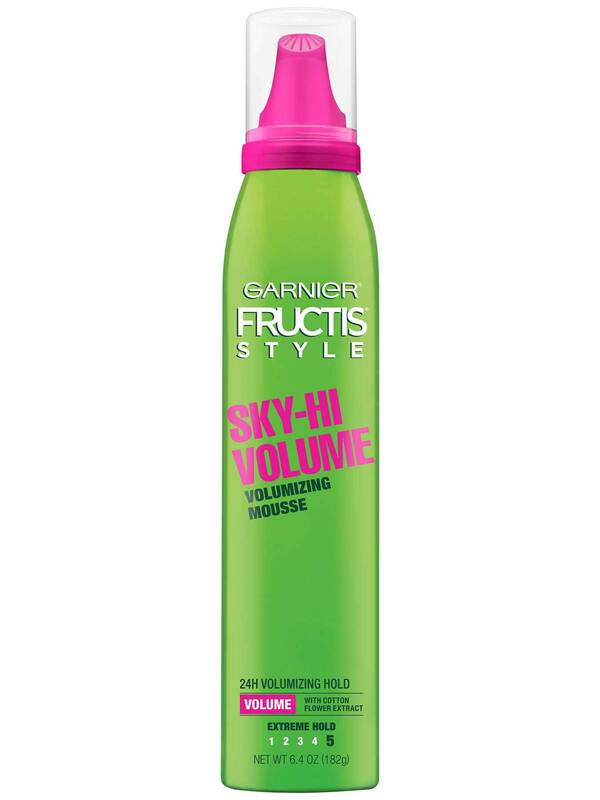 Garnier Fructis Style Sky-Hi Volume mousse is the only mousse I use, after trying nearly every mousse on the market! It adds no weight, maintains shine & movement, while adding tons of height and hold to my short, pompadour-style. I SO wish it would be available also in travel size, because I always carry the full-size with me on trips. No other mousse will do the trick for me! Rated 5 out of 5 by Cias from Amazing !! I bought different types of mousses And rhis is the best one!! I have fine wavy hair My hair became thick!! I wm amazed!!! Wow wow wow!! Rated 1 out of 5 by Bbartlett1055 from Too drying for my hair I have fine hair that has highlights. I love having volume, but in using this with a brush and my blow dryer like I have done for years it was very drying. Washing my hair today after using it yesterday I had to use a heavy conditioner. I won’t be using this again. I do love the Garnier Full and Plush Shampoo. Rated 5 out of 5 by dragongrrl from Best for fine curly hair! This mousse is hands down my holy grail for my fine, naturally curly hair. 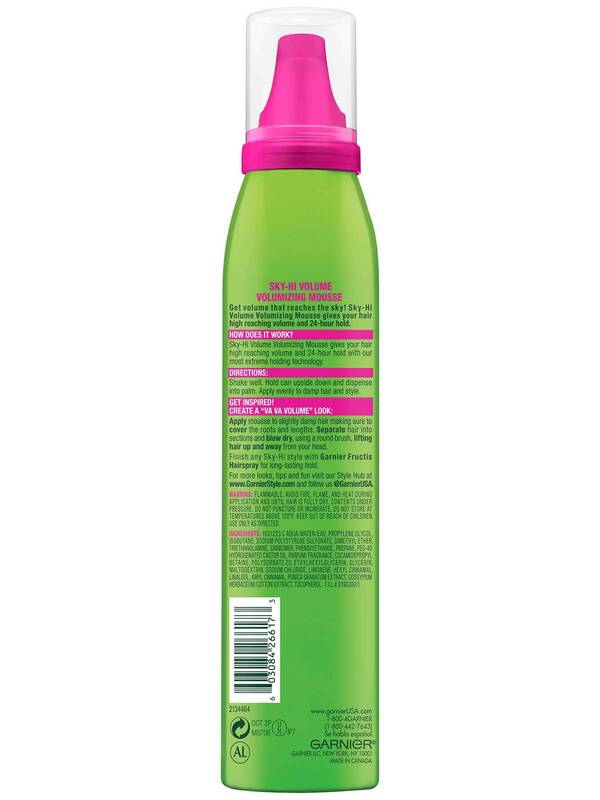 It gives me tons of volume and keeps my curls defined and frizz free. Having trouble finding it store lately. Will be devastated if its being discontinued. Rated 1 out of 5 by wje630 from Won't Buy Again This is NOT a mousse you use if you want your hair to look healthy and shiny. It left my hair looking oily and dull. I can usually go another day without shampooing but with this mousse, I had to wash it every day to keep my hair from looking dirty. Rated 5 out of 5 by Justgrandmom from Good Product I've been trying different Garnier Fructis products, and this mousse is my favorite so far. I use it after Full and Plush shampoo and conditioner. I didn't want puffy volume- just something to make my hair look and feel thicker but not stiff. This is perfect for my fine, very short hair.